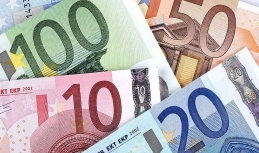 The European Central Bank stated that the regional bond market faces minimal impact from the Italian issue. Meanwhile, the gap between the yield of 10Y bonds of Italy and Germany expanded to 335 basis points. The European currency is sensitive about this fact. The euro-to-US dollar rate plunged from the top of 1.1470 to the bottom line of 1.1403 after numerous attempts to break the $1.15 handle. As a result, the 1.14 handle is under a threat now.EU can raise pressure on Italy, one of the leading economies in the euro-area, which definitely will play against the European currency. Brent oil managed to somewhat recover to $67/bbl, though the rebound was short lived. 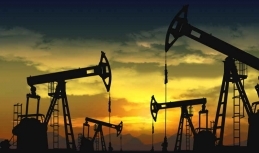 A mid-term outlook remains pessimistic despite local demand for the oil. As a result, prices have inevitably decreased to the support level of $60/bbl. Risk instruments are said to face a risk of even bigger losses until the situation gets clear. The last hope is the upcoming meeting of OPEC members slated for early December, the market expert noted. 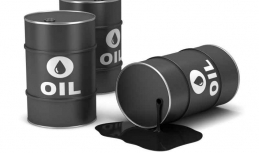 In the case of fruitful meeting and the countries agree on production cutbacks, oil can receive some support. Still, this scenario is barely possible. 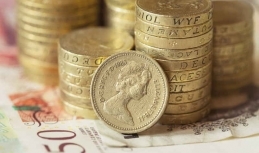 The sterling posted gains on Monday, which indicate the second positive day for the currency in a row. Today, the sterling to US dollar exchange rate was recorded above the 1.28 handle. The British currency keeps moderately rising targeting 1.29. However, the observed dynamics is mainly driven by the US dollar which shows unstable positions rather than the sterling. The greenback is affected by the US Fed alarm signals, as the regulator is concerned about the global economy, which can amend further monetary tightening policy followed by the US Federal Reserve. The US dollar is fluctuating, though the sentiments mainly bearish now. The sterling, in its turn, has managed to become generally stable following the recent collapse. 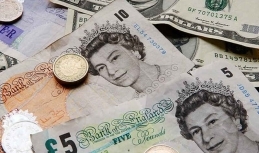 The potential quit of Theresa May and no-deal Brexit can drive sterling down, though now it manages to survive to restrain the greenback's rebound. The G20 summit is about to take place in Argentine in two weeks, which can bring more risks to the US dollar. 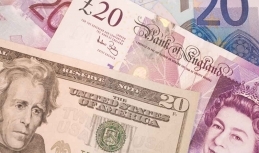 The US dollar regains positions benefiting from the events that hit the UK. Specifically, Dominic Raab, Secretary of State for Exiting the EU, has resigned being against the variant of the Brexit deal with the proposed terms. Moreover, Work and Pension Secretary, Esther McVey also quits the Cabinet. In this situation, the vote of unconfidence in the Prime Minister, Theresa May, is getting more and more real. As a result, the sterling bulls have had to step back for now. 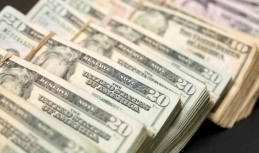 The sterling-to-US dollar exchange rate failed to take roost above $1.30, and now the rate plunged to $1.2792. The UK political drama and Brexit are in the spotlight now. The oil market shows some signs of stabilization. The Brent prices had been already less volatile despite further bearish API report. Specifically, the prices managed to stay above the 65 handle and even moved up to 66. A slight upward trend is seen at the Thursday's trading. Last week, as the American Petroleum Institute reported, reserves of crude shale oil in the USA soared by 8.8 million bbl, while the forecast was set at about 3.2 million bbl. Petroleum reserves rose 200,000 bbl, though distillates ones decreased by 3.2 million bbl. The market insiders did not overact this data, which can mean that they the market is focused now on the statements of OPEC+ members and wait for new messages regarding oil production decreases. Specifically, these factors will be the main drivers for the Brent prices in the near term. 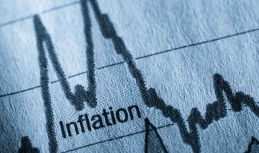 The USA released inflation report for October today. As the data shows, the inflation rose by 2.5% y-o-y over the period under review, coming in line with the market outlook. At the same time, the rate increased by 0.3% m-o-m, which also corresponds to the previously voiced forecasts. At the same time, the core CPI, excluding power sources and food, showed an increase of 2.1% y-o-y instead of anticipated 2.2%. Faster inflation being above the target level set at 2% will be a strong reason for the tougher monetary policy. It is highly possible that the US Federal Reserve will lift the rate during the December meeting. However, there are some players considering inflation as the key threat for the US economy to deal with. US dollar has slowed down, so other currencies mostly managed to take a breath following the recent greenback's aggression. The sterling was among these currencies showing attempts to rebound from the bottom below the 1.2826 handle touched yesterday. Still, the current recovery is hardly strong enough, so it appears to be a break before the new series of the decline. It should be noted good labour market results in the UK and a lack of the sterling reaction to the report. In the near term, sterling sales on the rise will keep making sense in particular given strong US dollar. The recent upturn of the oil prices has turned to be short-lived, with the new selloffs to follow. The quotes just reached the 72 handle, but then Brent prices resumed collapsing even at a higher pace. Specifically, the 69 handle was broken for the first time since April as the market expert noted. On a Tuesday trading oil shows attempts to recover, though they are not firm enough to be signs of the upward impulse shaping. The Brent prices partly failed to rebound due to another aggressive message of Donald Trump saying that the current prices are too high. 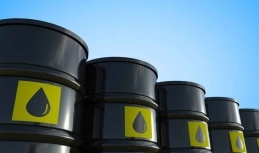 Prices for oil slumped on Thursday, with Brent oil hitting the August bottom of 70.55/bbl. Bearish sentiments were fueled by soaring US Dollar after the bullish rhetorics of the US Federal Reserve. Additional pressure is said to come from weaker demand in the world amid global economic slowdown. Bulls can just expect that OPEC+ exporters will support the market during the upcoming meeting in Abu Dhabi. The oil organization may give a clear sign that everything is under their control as well as express readiness to limit oil production to prevent the oversupply. The market is no longer focused on the election issue in the USA. Thus, risk aversion activities are fading away as well. Last week, second-tier currencies, including Indian rupee, South African rand, Turkish lira and Chilean peso enjoyed good demand. US Federal Reserve will most likely leave the interest rate unchanged after a this-week meeting. As a result, the rate will still be 2.00-2.25%, which in tandem with no scheduled press conference today will result in a moderate response of the markets. The markets reportedly plan to see balanced conditions once Donald Trump agrees upon monetary and fiscal softening. The event-trigger risks are likely to be low in 2019, and the global economic slowdown is already in the outlook. Stock prices may keep rising, while the greenback may move downwards. 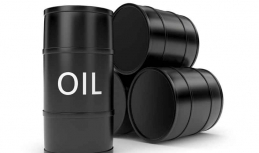 The oil market was full of negative reports over the past day – prices plunged below the 72 handle for the first time since late August, hitting $71.15/bbl. 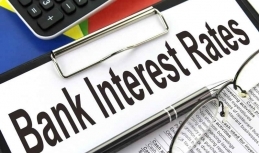 However, the rates somewhat managed to offset daily decline over Tuesday. Nevertheless, the quotes stay generally weak. 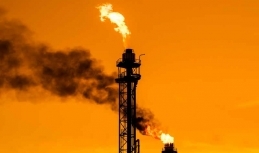 Extra pressure also came from the outlook released by the US Department of Energy, which upgraded the outlook of oil extraction in the USA by 1.5% and 2.6% for 2018-2019 respectively.